I have had the pleasure of staying at Shangri-La Bangkok a couple of times. 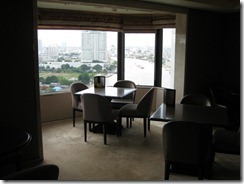 The first time was in October 2011 when I stayed in the Krung Thep wing and the second time in June 2012 when I stayed in the Shangri-La wing. 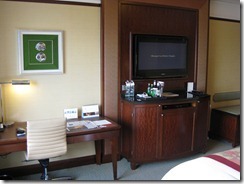 In June 2012 I actually booked the hotel using my Golden Circle points as I was only staying one night. I chose the hotel as the location is pretty good and I am a Golden Circle member and like staying at Shangri-La/Traders hotels. 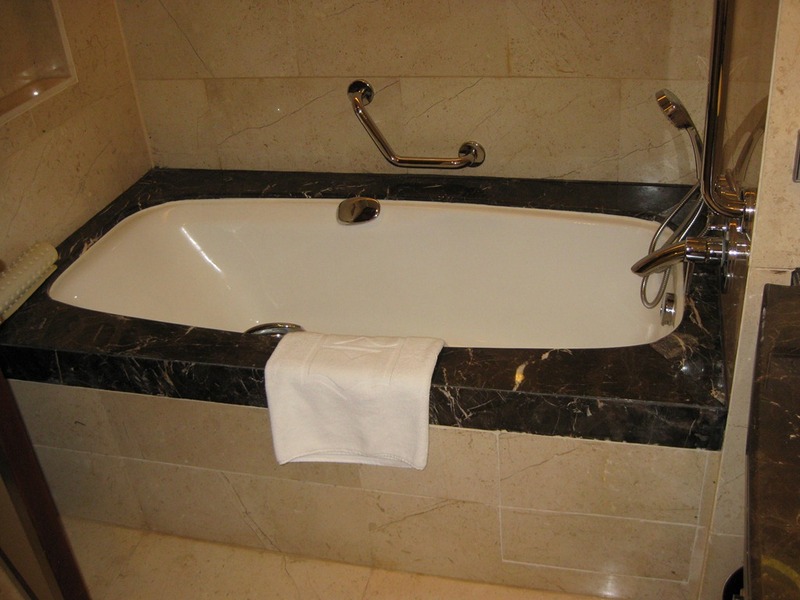 I travel a bit for work and pleasure and I have stayed at various 4 and 5 star hotels around the world just to give you an idea about the background for this review. The taxi from the airport cost about 400 Baht (including the 50 Baht airport tax) + the toll station fees of 70 baht. 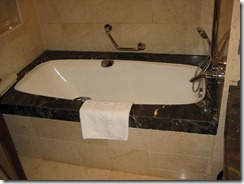 The reception at the hotel was great as always when coming to a 5 star hotel in Thailand. The staff took care of the luggage of course and we were taken to the reception where we got checked in and I got 1425. 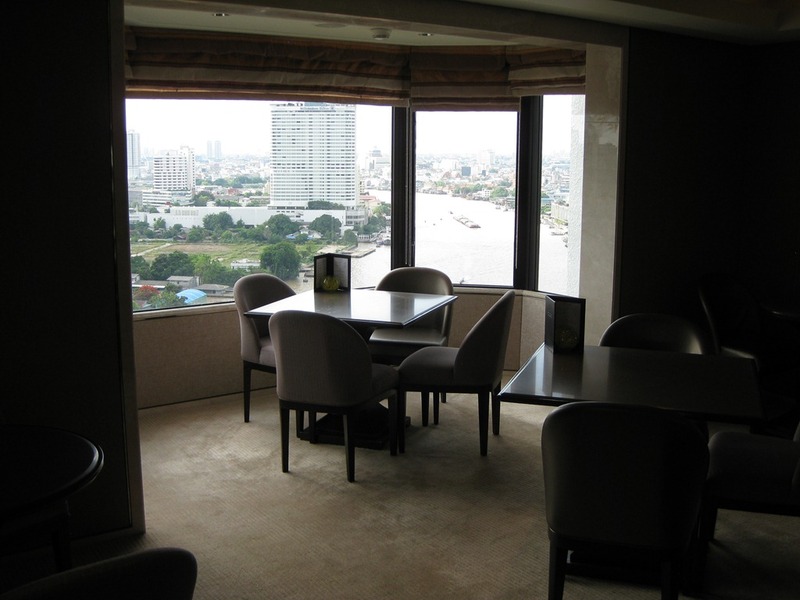 This time I was staying in the Shangri-La wing – the hotel has these two wings that both have stunning views of the Chao Phraya River. 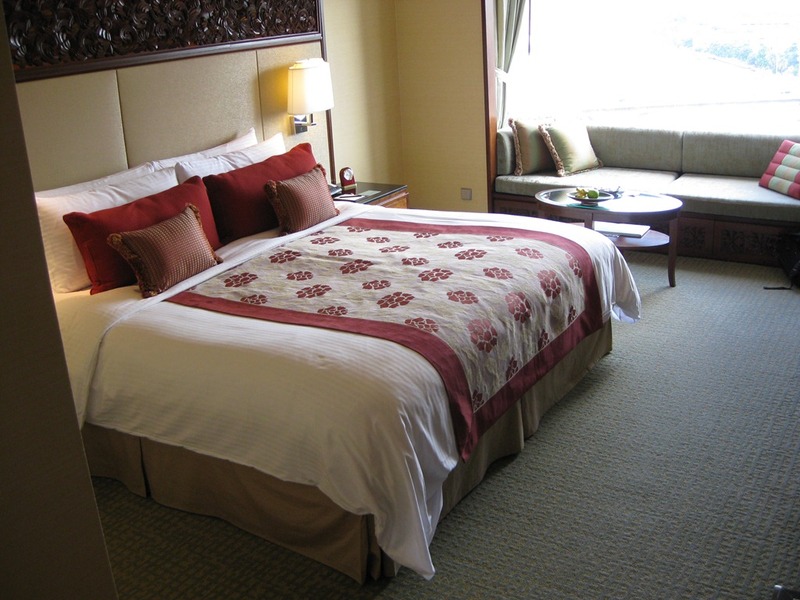 The room was delicate as always at Shangri-La hotels – a neutral carpet, light wall paper, dark furniture, art on the walls etc. 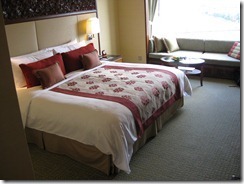 The centerpiece was as always, the over-sized king-sized bed which was quite comfortable. 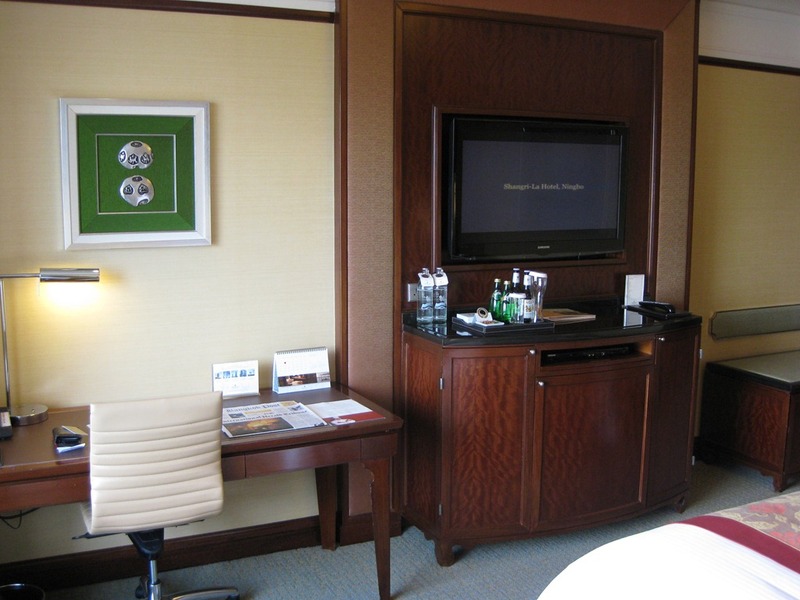 Apart from that there was a sofa by the window with a grand view of the river, a desk and chair and a flat screen TV mounted on the wall in front of the bed. 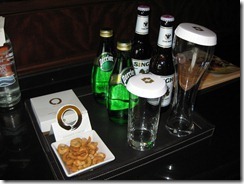 As a Golden Circle member I was also greeted with a welcoming package on the room which is always a nice treat. 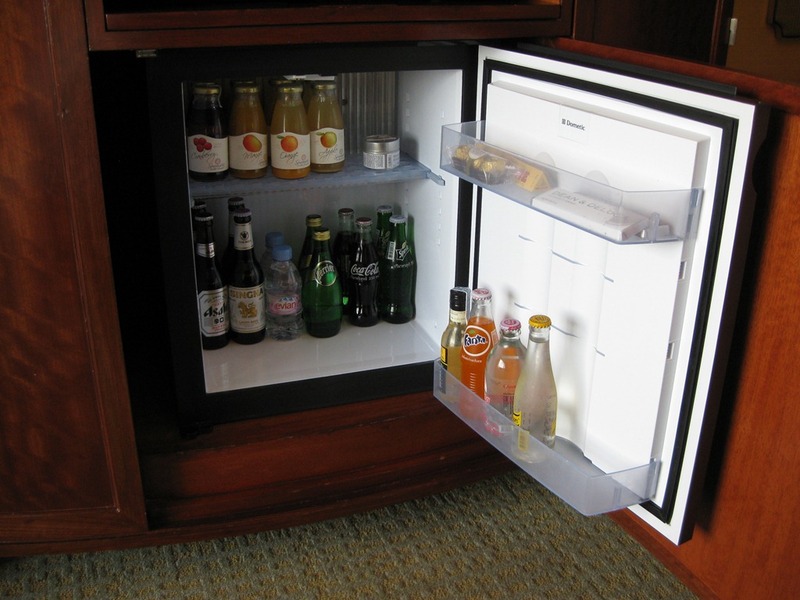 The furniture under the TV hid a small fridge with a selection of drinks but as usual it is cheaper to buy this outside the hotel (one Coke is 160 Baht) . 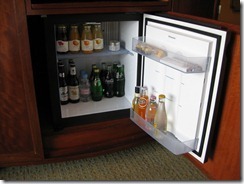 There is also complimentary water in the room. 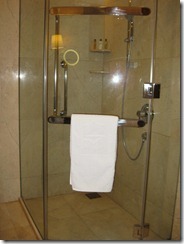 The room also included a large wardrobe with hangers, ironing board, iron, a small safe, robes and slippers. 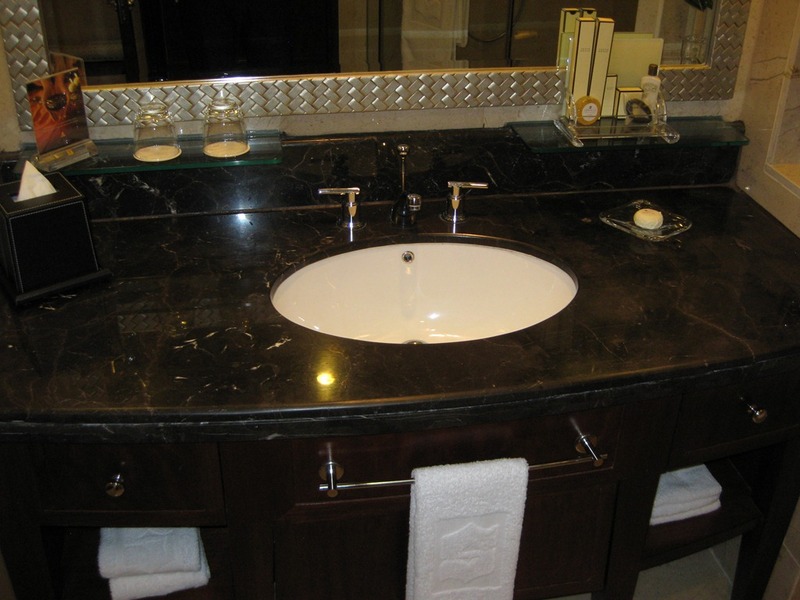 The bathroom was also in line with other Shangri-La hotels that I have stayed at around the world…a combination of neutral marble tiles and dark tiles. 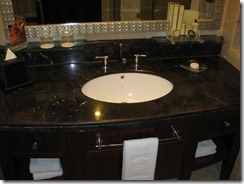 The sink was in black marble finish and the bathroom also featured a bathtub, shower corner (with a proper glass door) and a toilet. The selection of amenities are not as extensive as when you stay at the club level but you still get a tooth brush, soaps, shampoo etc. 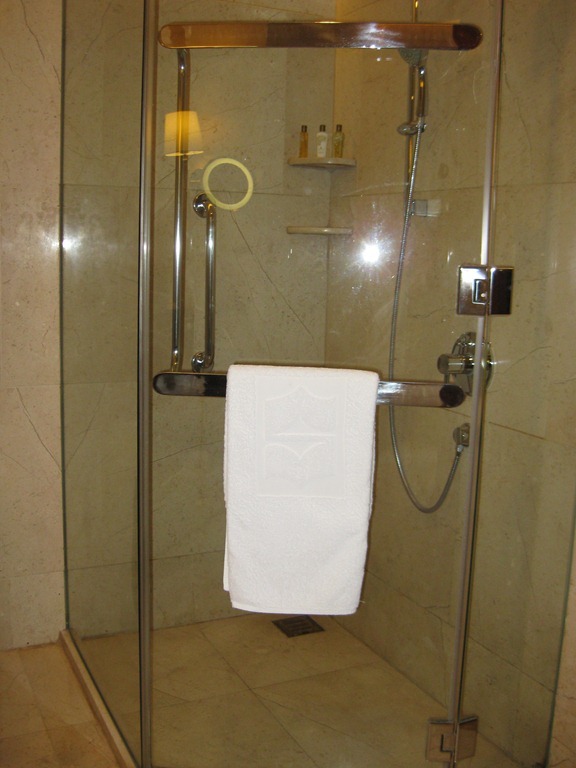 When I checked in the duty manager came to greet me and said that I should get in touch if I had any additional requests – later on I did go to the front desk to ask if I could get the L’Occitane shower products and not the standard shower amenities as I love the small of the L’Occitane products. I know this is just for the club rooms but I was hoping the guy would give me a break as I’m a Jade member but apparently not. My friend stayed at the club level and at 5.30 PM he invited me to the Horizon lounge on the 24th floor for evening cocktails. The lounge has again a stunning view in many directions and there are lots of tables right by the windows. Here they had a small selection of snack and a pretty good selection of wine and drinks that we could enjoy while watching the sun go down over Bangkok. 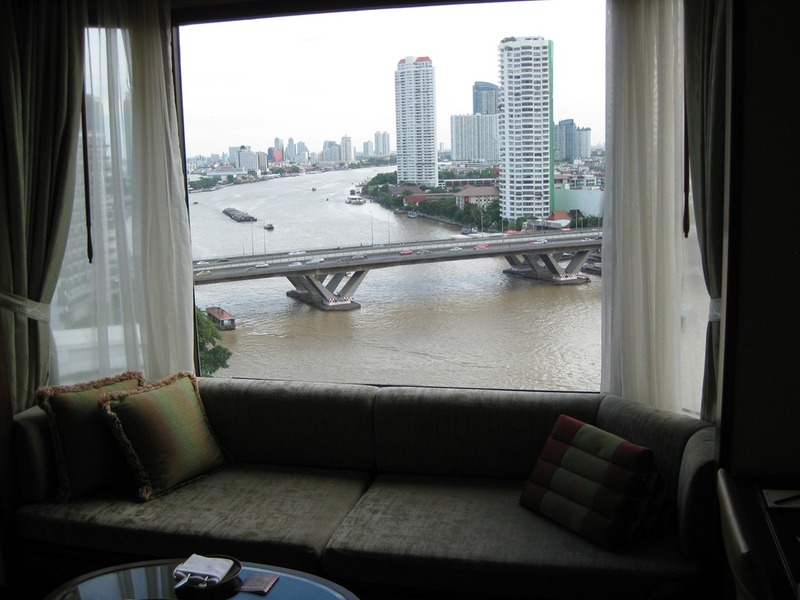 Shangri-La Bangkok is a great hotel and it has a great standard as you will find in many other Shangri-La hotels in Asia. 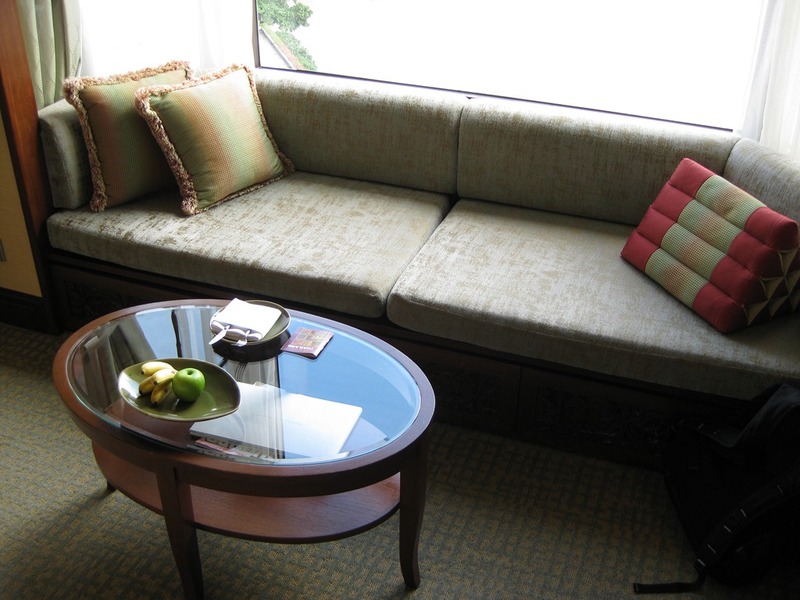 The room is lovely, the reception that you get at the hotel is great and if you stay at horizon level you will be able to enjoy breakfast and evening cocktails in the horizon lounge on the 24th floor. 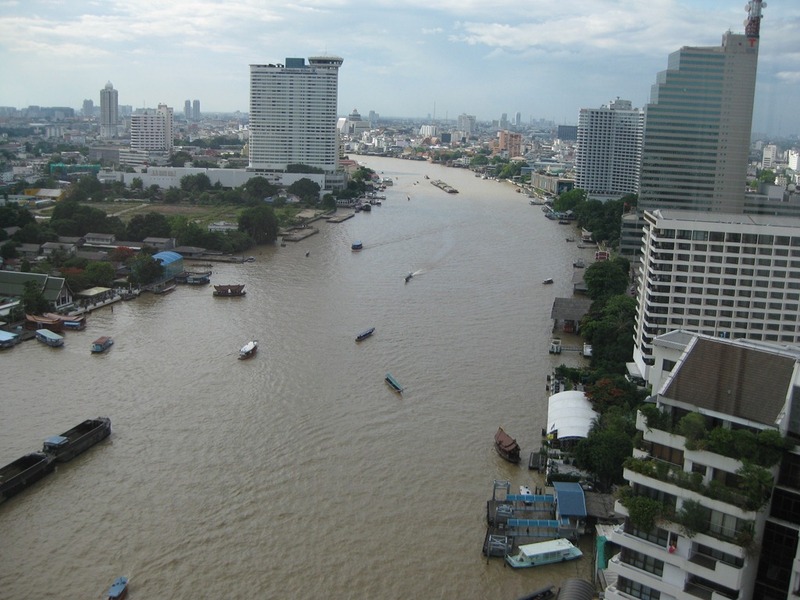 The hotel is located near the river so it is easy to get around by skytrain as it is located near Saphan Taksin skytrain station. 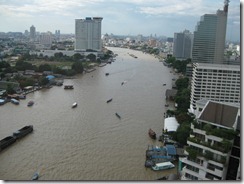 But you can also easily take a river boat bus to go e.g. grand palace. 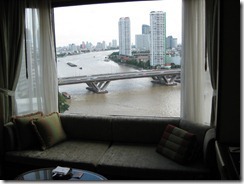 If you want a great hotel and want to stay by the river in Bangkok, you should definitely check out Shangri-La as one of the options. « Marini’s on 57–there is a new rooftop bar with a view in town!